This entry was posted in Book of Me, Family History and tagged Book of Me, Family History, Prompt 8, time capsule by cassmob. Bookmark the permalink. Very interesting concept! 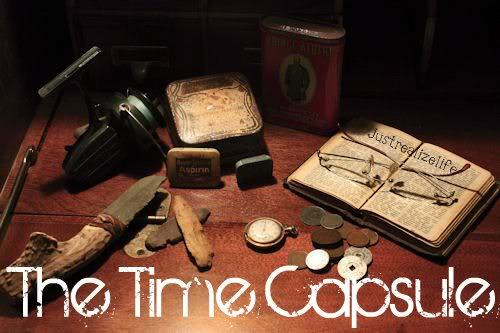 Wheels are turning … what to put in a time capsule?! Great post! Yes Julie has set us a good one this week Deb. Something to ponder quite definitely. Even if we don’t create a time capsule, or even write about one it offers us the opportunity to think about what we regard as important enough to convey to our descendants. I think I will be taking a few minutes on this one too. Thanks so much for the mention Cass. You are very kind 🙂 and I’m enjoying reading your posts on the subjects too. I think it’s a brilliant way of finding like minded souls in this world.